A decade on and still leading social inclusion in our community. In 2008, Link Health and Community came together with a group of like-minded community organisations to answer a question: how can we create stronger, more socially connected and inclusive communities? At the time, the research available on the effects of social isolation was quite limited. In 2018, we now know that experiencing isolation can have a profound effect on both our mental and physical health. In their starkest terms, studies have repeatedly compared the impact of social isolation on our health to smoking 15 cigarettes daily. 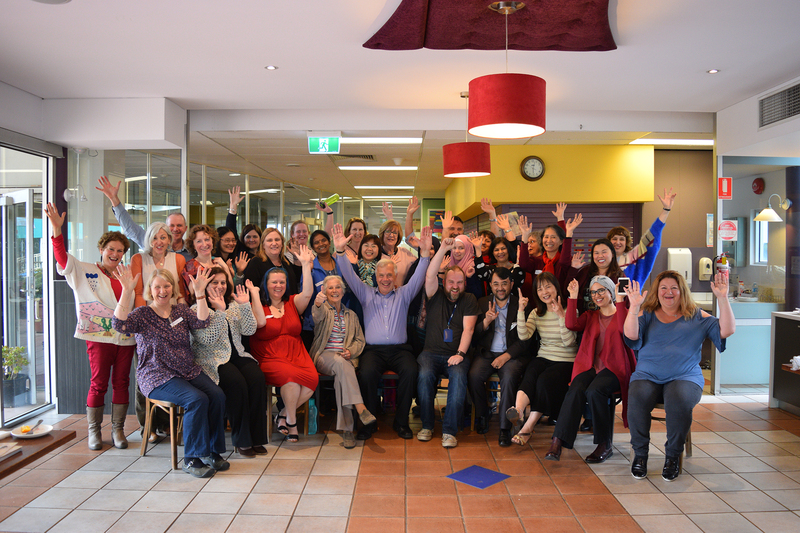 Recognising the crucial role that volunteers and community leaders play in keeping us connected, a new initiative was born: The Opening Doors Community Leadership Program. Over the past 10 years, Opening Doors has become part of the fabric of our communities. The program has graduated more than 200 community leaders, empowering them with the knowledge, skills and networks to create lasting change in their communities. These leaders have created more than 100 innovative community projects, which have connected an estimated 25,000 people with their communities in new and positive ways. Graduates of Opening Doors have ranged in age from 19 to 87 and represent more than 50 diverse cultural and religious backgrounds. These leaders have shared lived experiences of mental illness, disability, addiction, seeking asylum, domestic violence, homelessness, gender and sexual diversity, as well as an endless array of skills, talents and passions. Our 2009 graduates Sadie and Joan founded the Deepdene University of the 3rd Age, which now has well over 1,000 members. Our 2015 graduate Emma founded The Black Dog Community Art Project, which has connected thousands of people through art, sharing their experiences of anxiety and depression. Our graduates Mel from 2015 and Hannah from 2018 have connected hundreds of families, carers and young people on the Autism Spectrum through their Different Journeys Project. Our 2017 graduate Laila founded the Bangladeshi Senior Citizens Association of Victoria. These projects represent passions and causes as diverse as the lived experiences of our graduates, and yet they have been united by a single vision: a society which is truly socially inclusive; one where everyone has gifts and talents to share, and no one is left behind. As we reflect on the impact of Opening Doors over the past 10 years, we say congratulations to all of our graduates on everything they have achieved. You have changed the lives of thousands of people, and we can’t imagine our communities without you in them. We can’t wait to see what you go on to achieve next!